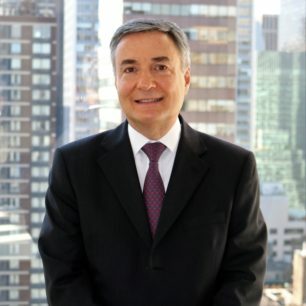 Stephen Paras is a senior leveraged finance and investment banking professional with over 30 years of experience including being the Head of U.S. and European leveraged loan capital markets divisions for Merrill Lynch and Bank of America Merrill Lynch (BAML). Mr. Paras structured, underwrote, and distributed over $50 billion in event-driven financings across a variety of industries. He was Managing Director and Head of U.S. Leveraged Loan Capital Markets at Merrill Lynch in New York and Managing Director and Head of Europe, Middle East and Africa (EMEA) Leveraged Loan Capital Markets at BAML in London. Mr. Paras was a senior member of Merrill Lynch’s and BAML’s Leveraged Finance Commitment Committee responsible for leveraged loan underwriting and principal commitments of leveraged finance capital. Mr. Paras was a member of Merrill Lynch’s Mezzanine Investment Committee responsible for reviewing investment decisions and managing portfolio risk of a Merrill Lynch-sponsored Mezzanine Debt Fund. In addition, Mr. Paras was a member of Merrill Lynch’s Managing Director Nomination Committee and Merrill Lynch’s Leveraged Finance Operating Committee. Prior to his distinguished 16-year career at BAML and predecessor firm Merrill Lynch, Mr. Paras spent six years at Chemical Securities where he was a core member of the firm’s leveraged buyout and syndicated finance groups. Mr. Paras began his banking career at Chase Manhattan Bank and Citibank. He holds an MBA in Finance from University of Rochester, a BA in Economics from Hobart College, and is a CFA Charterholder.